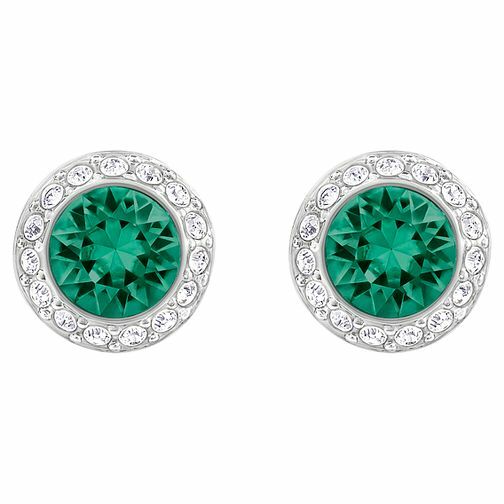 These Swarovski earrings feature a stunning green crystal with a clear crystal halo. Perfect for adding a touch of sparkle to any outfit. Swarovski Angelic Crystal Earrings is rated 5.0 out of 5 by 1. Rated 5 out of 5 by Anonymous from Beautiful Earings I bought these earrings for my daughter. They are absolutely beautiful. The colour is amazing and she received many comments. Would highly recommend.